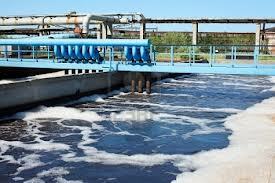 TAIPEI: Taiwanese agency proposes to build waste water recycling plants to resolve the water crisis faced by the nation. The Taiwanese Water Resources Agency (WRA) in association with the Ministry of Interiors has decided to build waste water recycling facilities to tackle the water crisis. The WRA aims to construct as many as 8 sewage recycling plants that can process both household and industrial waste water, with a total capacity to produce 1.2 million tonnes of recycled water per day. The association expects to reach the target by the end of year 2031. The association has earmarked Greater Taichung and Greater Kaohsiung as pilot sites for the proposed plants. Manufacturing giants Taiwan Semiconductor Manufacturing Company and China Steel Corp have already announced their willingness to join the Kaohsiung plant. The Ministry of Interiors says that the recycled water can be utilized for industrial use,irrigation purposes and also for toilet flushing. According to statistics, Taiwan produces about 2.85 million tonnes of waste water per day. If there are sufficient recycling facilities in the country which can produce recycled water, it could resolve the water shortage in the country to a large extent.